Combine all ingredients, except red wine, in a shaker tin with ice. Shake and strain into a double Old Fashioned glass filled with large ice cubes. 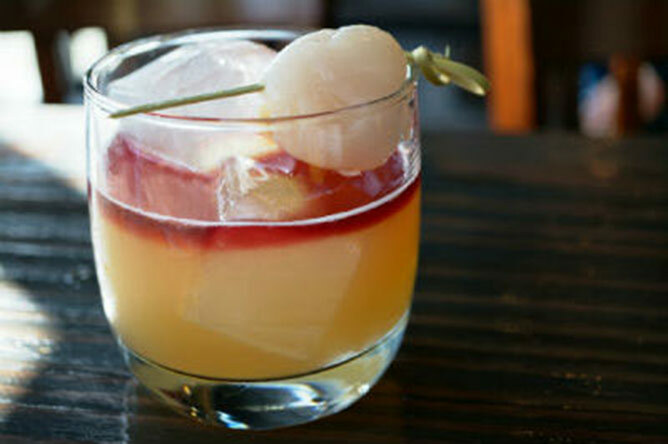 Float red wine on top and garnish with a lychee fruit.